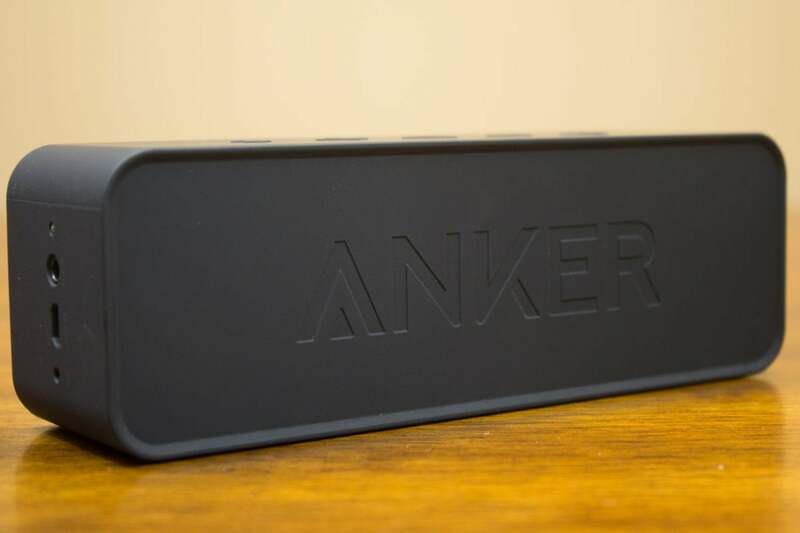 An off-the-hook price-to-performance ratio renders this small speaker a good value. I’ve often wondered how little a speaker could cost before you hit the point where you’re just throwing your money away in buying one. I’m surprised to report that the floor is apparently somewhere lower than the $25.49 that Anker expects its SoundCore A3102 to fetch. This isn’t a great speaker by any stretch of the imagination. But it won’t make your ears bleed, and criminey, you can buy three of them for less than the cost of one JBL Flip 4. The SoundCore is solidly built. The rubber-coated enclosure measures 6.5 inches wide, 2.25 inches high, and 1.75 inches deep. There’s a micro-USB port on the right side for charging its 4400mAh battery along with a 3.5mm headphone jack and an integrated mic for when you want to use it as a speakerphone. Gently raised buttons on top are provided for power, Bluetooth pairing, volume, and play/pause. There are no controls for moving up and down the playlist on your paired device. Don't expect 360-degree sound from this speaker. It's back is a solid panel. The speaker’s shape and its rubberized covering make it very easy to pick up and carry, but a simple tether would have been a welcome feature. Anker doesn’t provide a weatherization rating, so I wouldn’t leave this speaker exposed to the elements or use it too close to the edge of a pool. A 3-watt-per-channel stereo amplifier drives a pair of full-range drivers, with a passive radiator providing what can only be described as anemic bass response. And unlike many other smaller speakers I’ve reviewed lately, the SoundCore’s drivers project sound in one direction only—the back of the enclosure is a solid panel. If you want sound projected in any direction other than at a right angle to the cabinet, you’ll need an object behind or beneath the speaker to prop it up as there’s nothing about its design that will help you with that goal. Listening to Paul Simon’s “50 Ways to Leave Your Lover,” from his 2012 release Live in New York City, which I’d ripped from CD and encoded in FLAC, I really missed the anchoring bass line. It’s not impossible for a small speaker to deliver that—the JBL Flip 4 does a great job of it—but like I said: That speaker is more than three times as expensive. The SoundCore didn’t bowl me over at the other end of the frequency spectrum, either. The guitar solo that ends “Mother and Child Reunion” was on the edge of shrill. The midrange frequencies where Simon’s vocals reside, meanwhile, were on the muddy side. 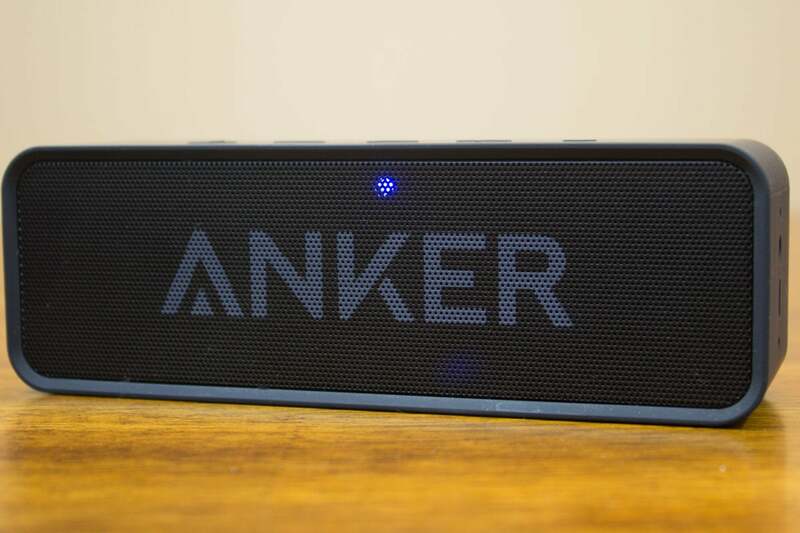 Anker doesn’t specify this speaker’s total harmonic distortion, stating only that it’s “less than 1%,” but this is a speaker that doesn’t like to be pushed. When the crowd roared its approval at the end of “Reunion,” with the speaker close to pegged, the distortion literally hurt my ears. Fortunately, that was the only time the speaker assaulted me that way. And as long as I didn’t push its amp to the edge of its capability, the A3102 was listenable enough. I’ve auditioned a dozen or more speakers of this size and recommend any of them over Anker’s A3102—but that’s only if I don’t take price into consideration. At $25.49, it’s easy to overlook this speaker’s performance shortcomings. This isn’t a great speaker, but it is a bargain.